The fall of Muammar Qaddafi has caused some Libyan Jews to wish to return to their homeland, according to a Libyan Jewish leader. The fall of former Libyan dictator Muammar Qaddafi has caused Libyan Jews to wish to return to their homeland and resume the great heritage they established there, a Libyan Jewish leader told Arutz Sheva on Tuesday. Meir Kachlon, Chairman of the World Organization of Libyan Jews, said that his organization has created an excellent relationship with the opposition leaders who took power instead of Qaddafi. The World Organization of Libyan Jews last summer formally recognized the National Transitional Council, headed by Mustafa Abdul Jalil, as the country’s new regime. The organization is comprised of some 200,000 former refugees, many of whom fled to Israel. Kachlon said on Tuesday that there are Jews who currently live in Europe and who left considerable property in Libya and that those Jews wish to go back to their place of birth. 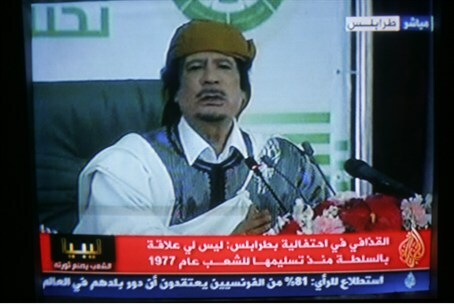 He said that Qaddafi’s fall gave the Libyan Jews great hope.